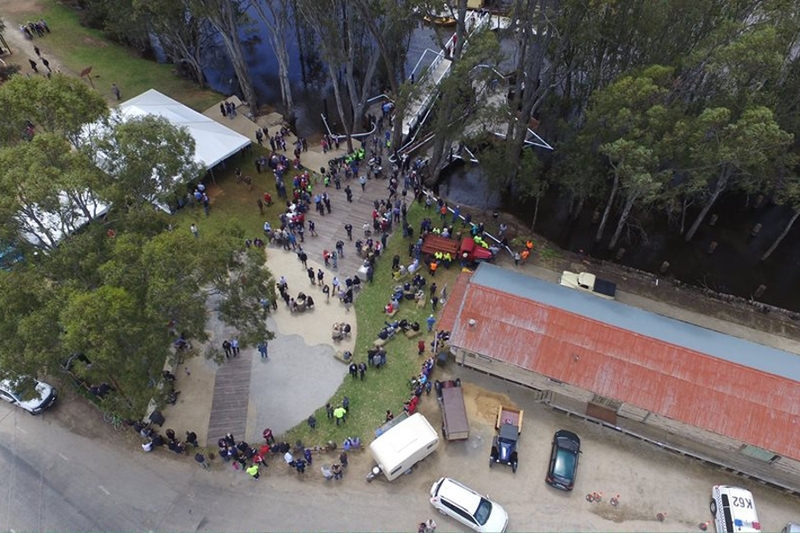 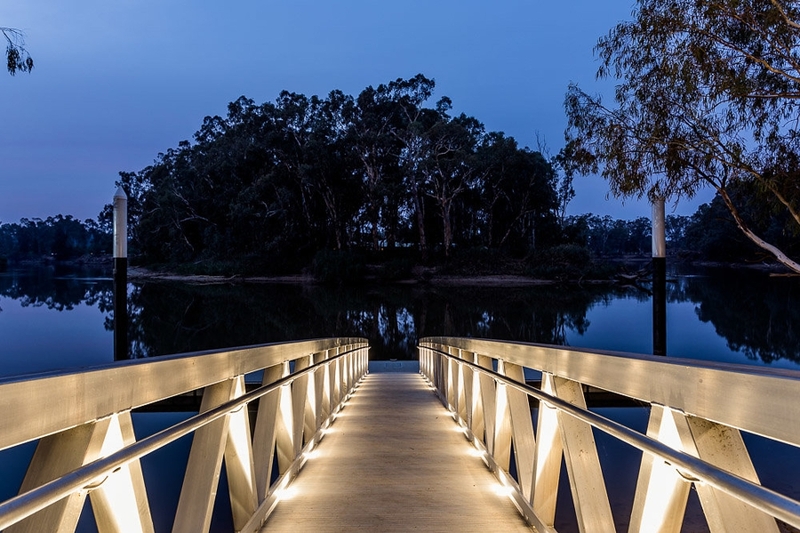 Gannawarra - the northwest rural region of Victoria - is experiencing economic challenges brought about by changes in the agricultural sector and the use of water in areas prone to drought. 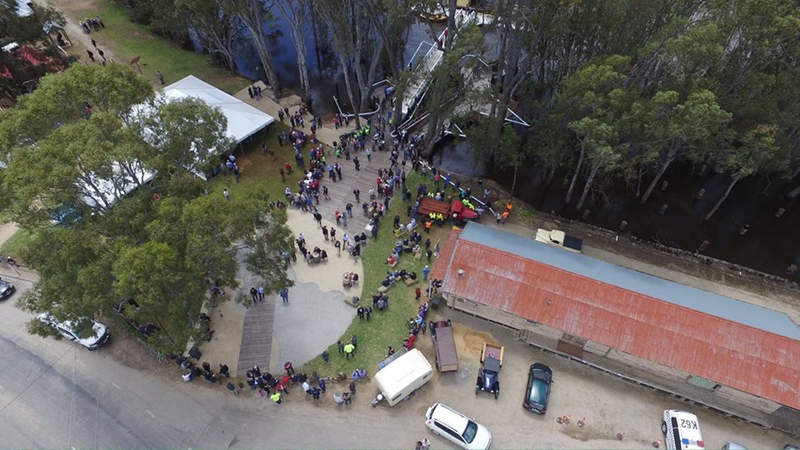 Koondrook is one of many small towns affected by these issues. 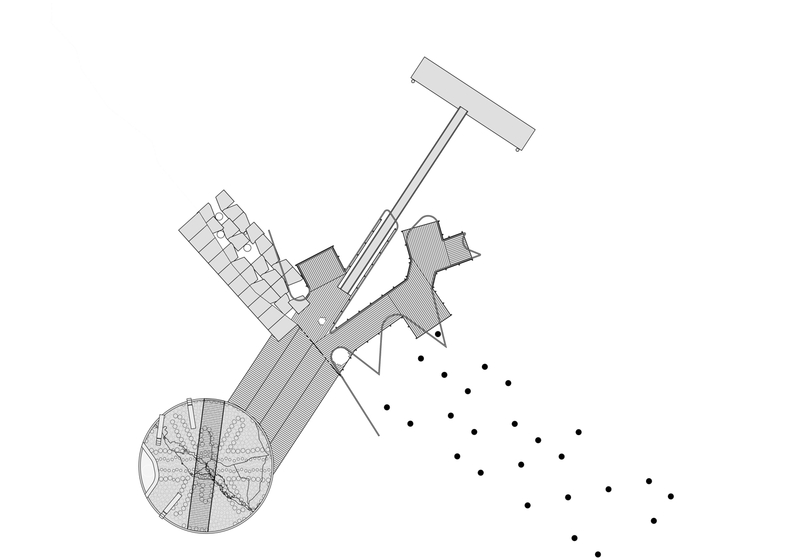 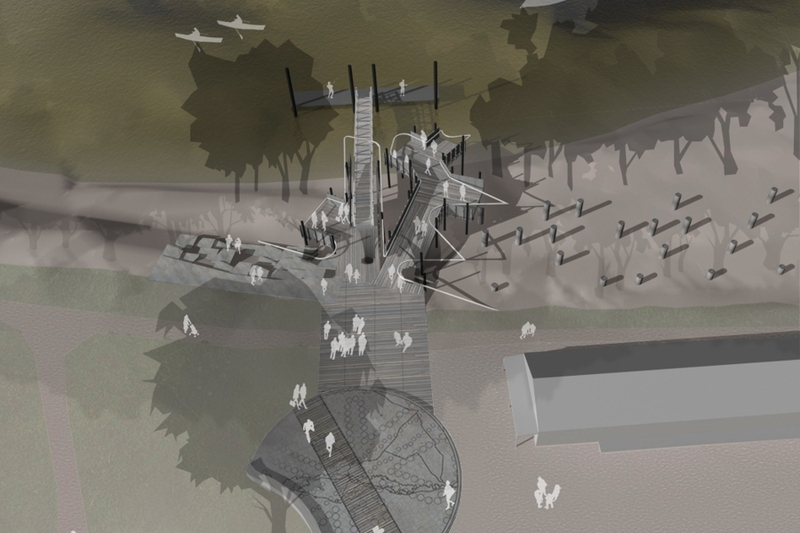 TERROIR (with Hirst Projects) were commissioned by the Shire Council to work with them and the local business community to identify potential projects that might be relevant to the local community while also stimulating increases in the amount of visitors The replacement of the Koondrook Wharf and creation of amenity around it quickly emerged as a project that might improve access between the town and the Murray River around which it is situated while completing other planned investments in the township and surrounding region. 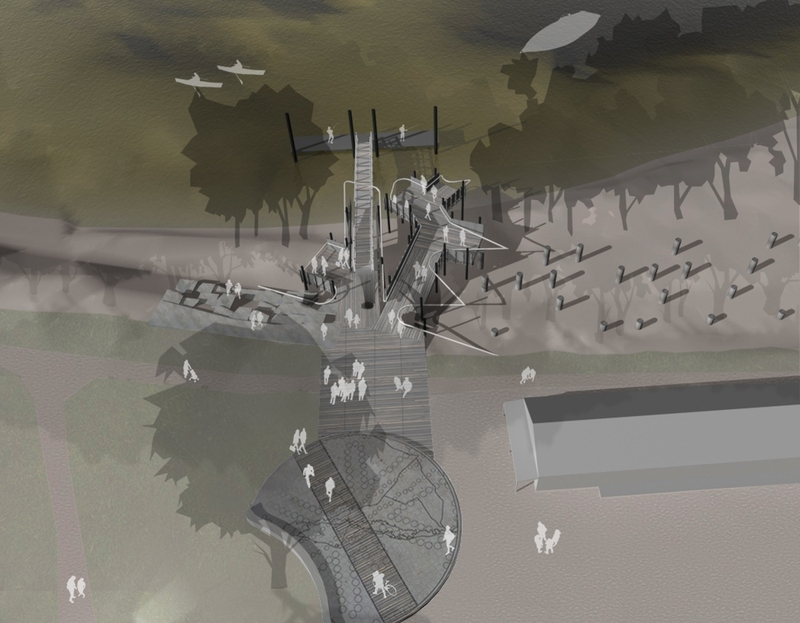 Extensive community consultation provided a basis upon which we identified three key functions; an access point for boats, as a heritage interpretation (of the former wharf from bygone industrial days) and recreational use. 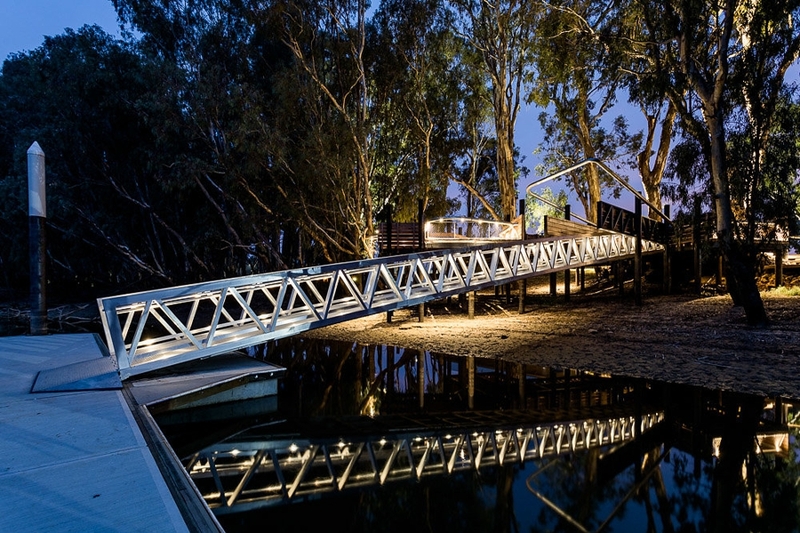 The development of suitable infrastructure for these uses was understood as an enabling device that could support new business on the river. 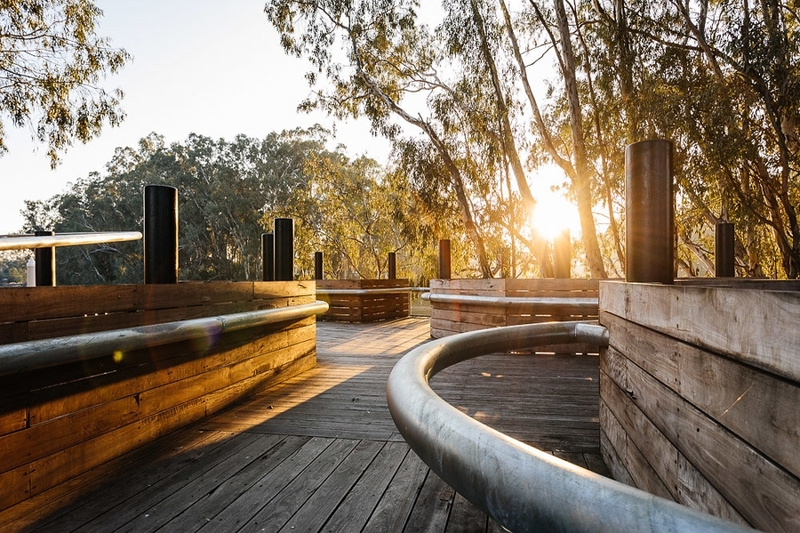 The project consists of a new wharf, a plaza on the land adjacent to an old wharf and associated buildings and a connective tissue between in the form of a timber platform that weaves between the trees in the tidal zone. 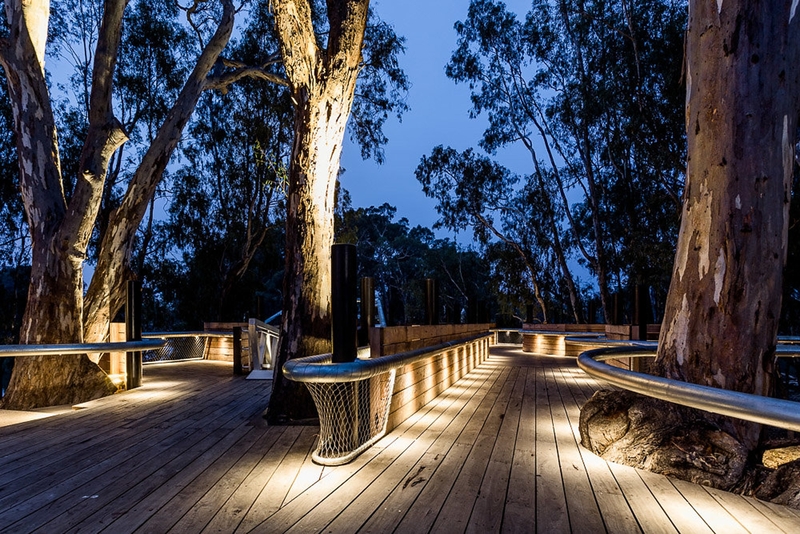 Materials used were sourced locally, including the redgum timber, cut and milled only a few kilometres away. 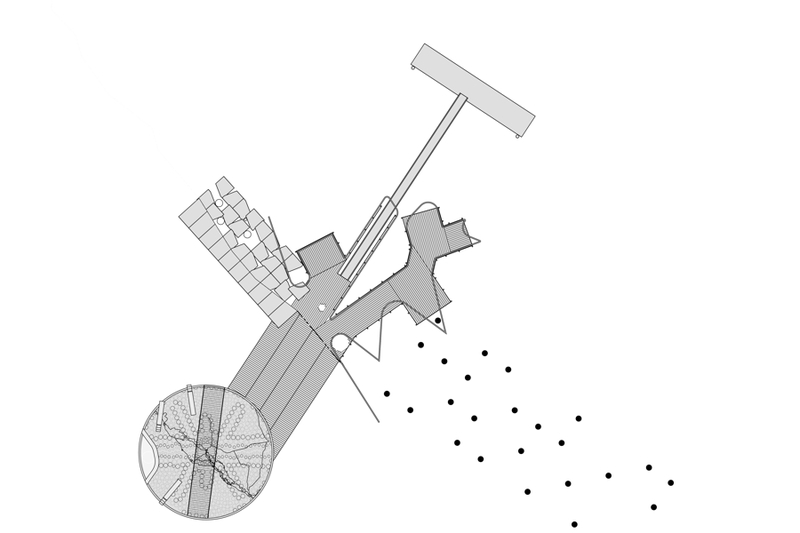 The design strategy is a continuation of TERROIR's "third space" project, where community and free access spaces are carved out of architectural projects regardless of the brief. 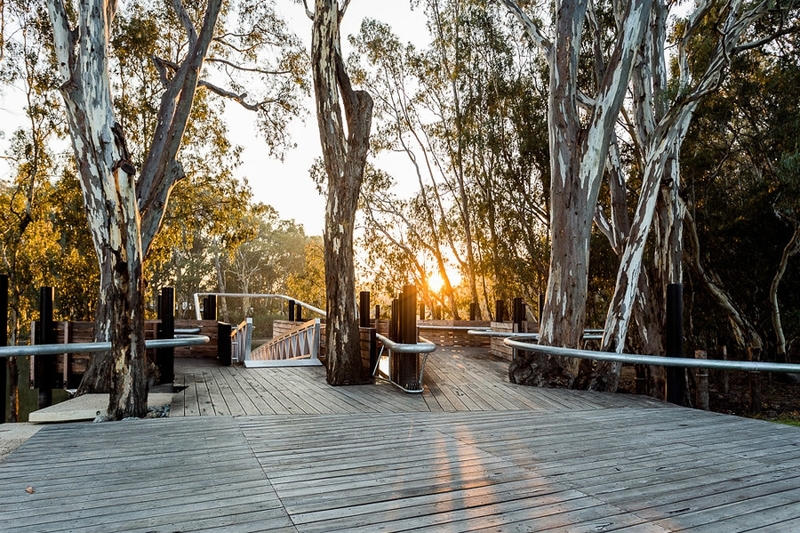 The Koondrook Wharf sees the deployment of this idea in its most pure form, where the whole project is given over to public access and unprogrammed spaces to be occupied by the public as they wish. The project has been a great success for the local community and its design was recognised in the 2018 Victorian Architecture Awards in three categories: urban design, small project and Regional projects.